The incident was reported to the police by the homeowner, who was remotely watching the male and female suspect on his home security app. At this time, the homeowner also reported that he observed the suspects leave the scene in an SUV. 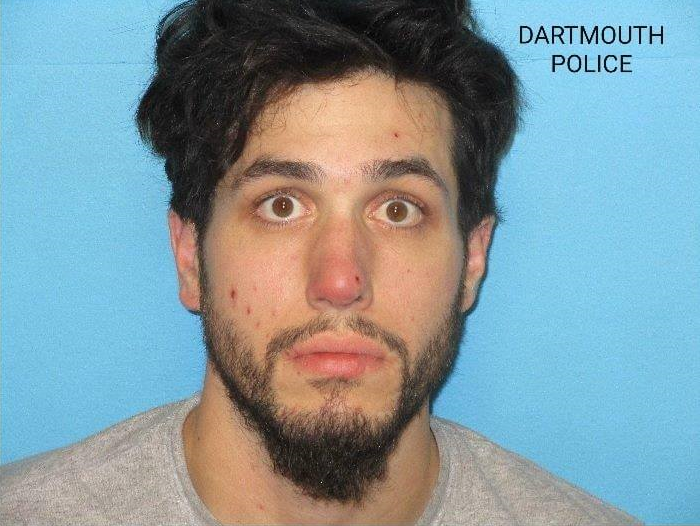 Upon arrival, Officer Jason ARRUDA viewed the video footage and positively identified the male suspect as Michael FABIANO, Jr., 28, of County Street, New Bedford. Also while watching the video, Officer ARRUDA identified the suspects vehicle as a Toyota Forerunner consistent with one owned by FABIANO, Jr.
A short time later, Detective Keith DACOSTA observed FABIANO, Jr. walking on Rockdale Avenue, in close proximity to a residence that he frequents. Upon approaching FABIANO, Jr., he fled on foot. After a brief foot chase, FABIANO, Jr. was taken into custody and charged with felony breaking and entering, larceny over $1,200 and resisting arrest. In addition, FABIANO was also charged with an outstanding arrest warrant for shoplifting. During the corresponding investigation, several of the stolen items were recovered. The female suspect has not yet been positively identified.